SICK has released its next generation of ultrasonic gas flowmeter, the FLOWSIC600-XT. 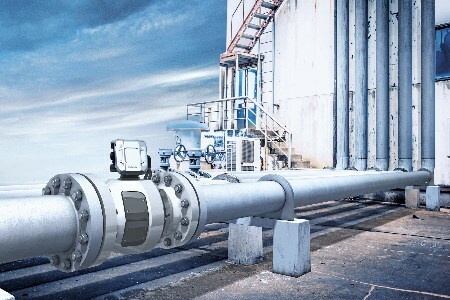 The company hopes that this flowmeter will offer greater reliability and measurement accuracy, as well as being easier to use for mid-stream gas revenue, custody transfer and storage operations. The FLOWSIC600 ultrasonic gas meter was first released 15 years ago. It has since become a market leader, with over 15 000 installations globally. Recent technology developments have allowed SICK to further enhance performance and to achieve even higher resistance to distorted flow profiles. The upgrade also includes new user-friendly FLOWgate™ software that is compatible with the other existing FLOWSIC600 models. The newly enhanced FLOWSIC600-XT model has the same footprint and in-built robustness as the FLOWSIC600 and is delivered pre-calibrated from the factory for immediate installation and use. For the FLOWSIC600-XT, the possibility for signal degradation has been reduced further and signal availability is ensured under all operating conditions. “For all sectors of the industry, from exploration to end customer billing, accuracy and consistency of measurement is extremely important; margins are very tight and minute percentages make all the difference,” points out Andrew Wrath, industrial flow measurement specialist at SICK UK. The FLOWSIC600-XT will be introduced gradually to replace all the FLOWSIC600 models over the next 24 months. It is certified as an MID Class 1 meter and can be installed as class 1.0 or 0.5 in accordance with OIML-R137 for use in hundreds of applications where measuring, checking and certifying gas flow is critical. The advanced algorithms and electronics are easy to use and to configure, while also allowing compensation for disturbances in gas flow conditions.